John Jay College is a premiere educational institution where criminal justice is taught in all its modern complexities and public service is valued as the noble endeavor that it is. 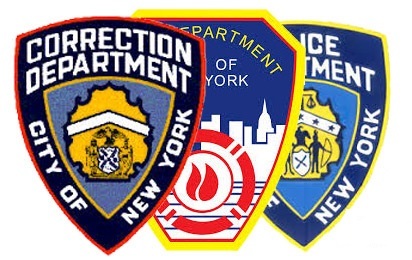 The College provides educational opportunities for active and retired NYPD police officers and supervisors, NYC DOC officers and FDNY fire fighters. Active NYPD UMOS Police Officers and supervisors are eligible for the Leadership Program is an educational opportunity that covers the tuition and textbook costs for four college courses (12 credits total). Eligibility: All active NYPD Police Officers and supervisors are eligible for the NYPD Leadership Program. Retired NYPD UMOS Police Officers and Supervisors are eligible for the In-service Program at John Jay College. The In-service Program is designed to provide educational opportunities to eligible members of the service to earn a bachelor's degree. The In-service Program guarantees admission to a bachelor's degree program and awards additional credits for recruit academy training. Eligibility: All retired NYPD Police Officers and supervisors are eligible for the In-service Program. Active and retired FDNY firefighters and NYC DOC Officers are eligible for the In-service Program at John Jay College. The Program is designed to provide educational opportunities to eligible members of the service to earn a bachelor's degree. The In-service Program provides guarantees admission to a bachelor's degree program and awards additional credits for recruit academy training. Eligibility: Active and retired FDNY and NYC DOC officers are eligible for the In-service Program. The NYPD Master of Arts in Criminal Justice Executive Program is an educational opportunity for active NYPD Captain rankings and above to earn a Master of Arts degree in Criminal Justice. Eligibility: Active NYPD Captain rankings and above are eligible for the NYPD Executive Masters Program. Students are required to meet the admission criteria and be selected by the NYPD.